The HCSO Reserve Deputy Program has been in place for over forty years and serves a vital role in the support and daily function of the Hamilton County Sheriff’s Office. Each year, the Reserve Deputy Division, comprised of citizens from Hamilton County, volunteer thousands of dedicated hours of service to their community and help compliment the fulltime law enforcement personnel of the HCSO. 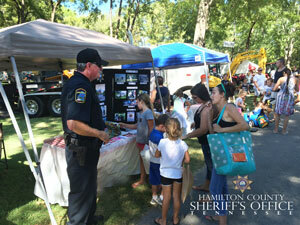 Hamilton County Sheriff’s Office Reserve Deputies enjoy the challenges and excitement offered by law enforcement, as well as the satisfaction of providing a worthwhile community service. The unit is currently comprised of men and women who by day, work in their respective careers and pursue their professional goals. With a great deal of pride and dignity, in their off hours, they transition into their Sheriff’s uniform and patrol the streets and waterways with full time deputies. 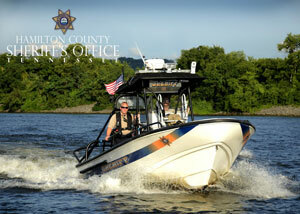 Reserve Deputies perform public safety duties for the community, such as traffic control, security at large community events such as the Hamilton County Fair, Riverbend Festival, Iron Man Chattanooga and other triathlon races, along with many other community activities during the year. They also help secure crime scenes and assist during times of natural weather or man-made disasters. In some cases, reserve deputies can offer critical professional expertise based on their profession and education. Successful candidates must graduate a six week Reserve Deputy Academy conducted by the HCSO Training Division, pass a thorough background investigation and other employee hiring tests to become sworn reserve deputies. Qualified reserve deputies can also qualify for special assignments assisting the Marine Patrol, Mounted Horse Patrol, K-9 Division, and Criminal Investigations. In addition to their initial training, each reserve deputy is required to participate in 40 hours of in-service training annually and other specialized training as necessary. Reserve Deputies provide an invaluable service to the Sheriff’s Office and the citizens within the Hamilton County community. The Reserve Deputy also knows the commission is a privilege and all members remain active at the sole discretion of the Sheriff. If you are interested in becoming a Hamilton County Sheriff’s Office Reserve Deputy, please contact the Reserve Deputy Coordinator, Steve Carter at 423-893-3503 ext.264.